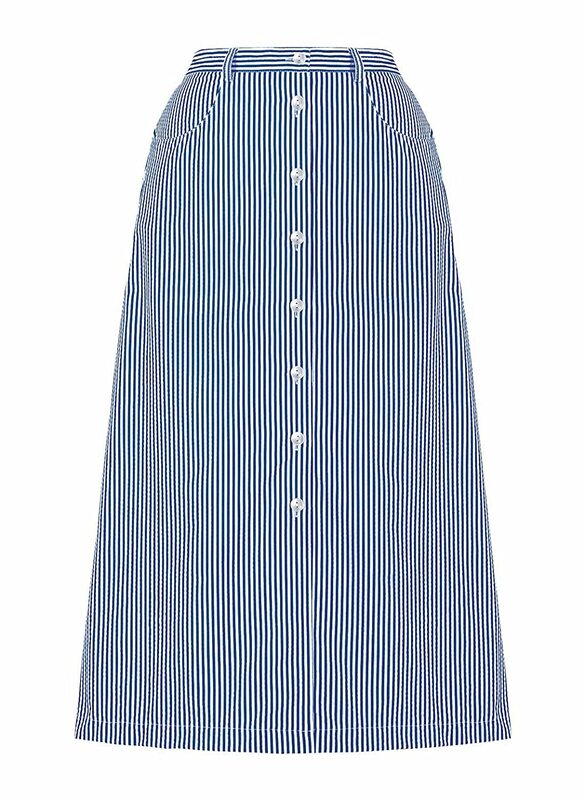 Just like 1920s blouses, skirts during the twenties went from the vogue thing to wear to out of fashion by mid-decade. Women wore them around the house, to visit friends, traveling, and running into town in casual, comfortable attire. They were not formal enough for afternoon and evening wear. Skirts were part of the “sporty” look movement. Indeed skirts played a big roll in many sport uniforms from golf to tennis, field hockey to bowling. For the everyday woman, the sporty skirt paired with a blouse or sweater was her way of dressing for leisure. Skirts of the late teens and early twenties were in the shape of the hobble skirt, although not quite so restrictive. In 1920, skirt lengths went to the ankle with a slight bow around the hips and then tapering to the hemline. 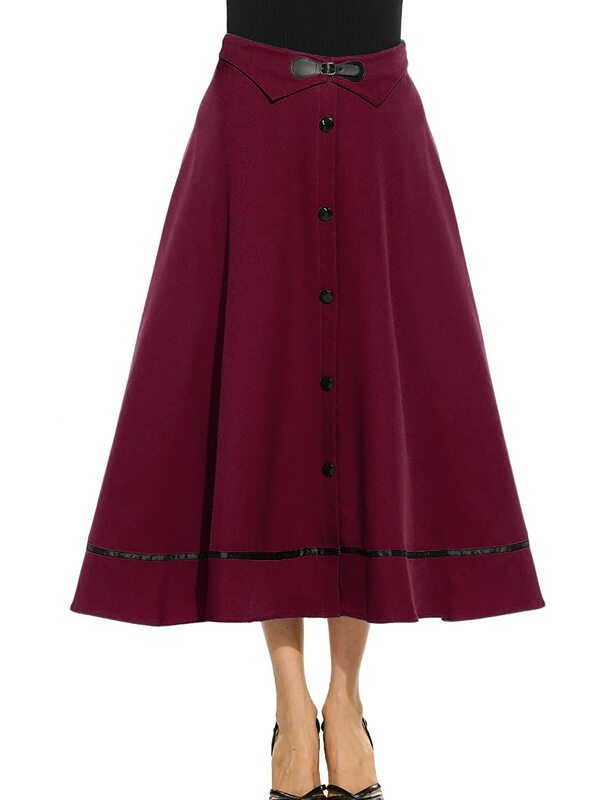 Wool brown, blue or black and plaid skirts were in every woman’s wardrobe. By 1922, skirts came off the ankle and up to mid-shin (the first midi skirt?) and flared out creating a slight A-line shape. For summer, skirts took on brighter colors in flannel wool and pastel satins. Stripes and checks found their way into skirts too. 1927 knife pleated skirt (sides only) attached to a camisole top. By 1924, skirts fell back to the floor and lost any shaping they had. Rectangle tubes of wrap over skirts and knife pleated column skirts were in. Dresses were made to mimic the idea of a skirt and blouse by making the top and bottom of the dress in separate materials. The use of partial elastic waistbands was becoming more and more common in ready to wear clothing. Previously elastic was only used in lingerie. Mostly wide skirt bands were held in place with buttons on the insides of the band and outside for decoration. In most cases after 1924, skirts were attached to a sleeveless camisole top that was worn under a blouse or sweater. 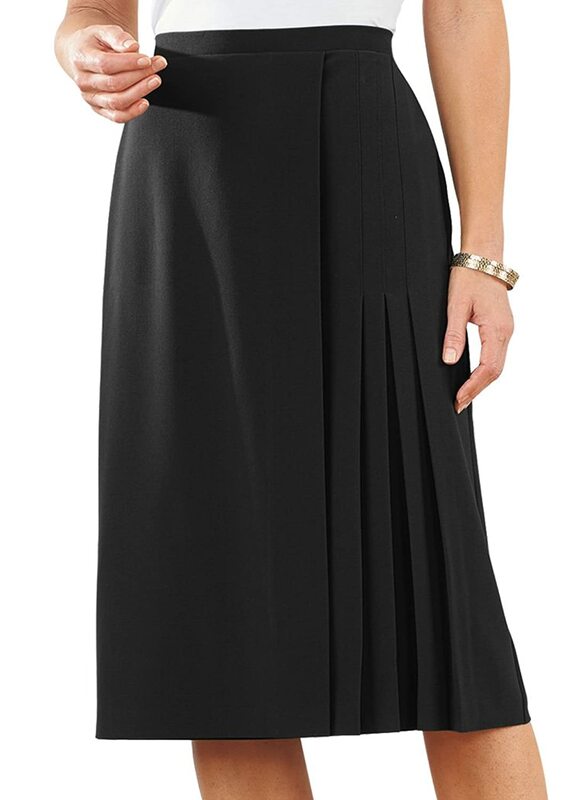 This made skirts hang straight around the hips- no waistband needed. 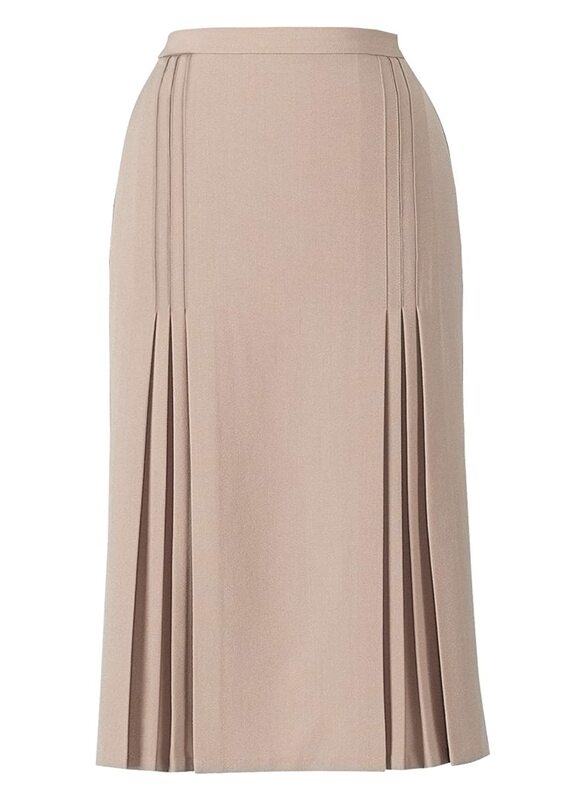 Pleated skirts were the one style the lasted the duration of the twenties. Early skirts incorporated accordion or knife pleats on the sides or box pleats around the entire skirts. School girls wore pleated skirts and women athletes copied the style. Sporty skirts were also being made of the new popular knit instead of wool fabric. Skirt lengths also shortened to just below the knee. 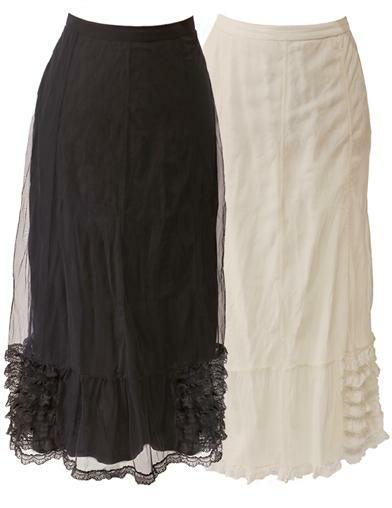 Tiered skirts with horizontal layers came in vogue by the end of the twenties. As the economy improved, more women turned to one piece dresses and matching 3 piece suits instead of blouse and skirt separates. 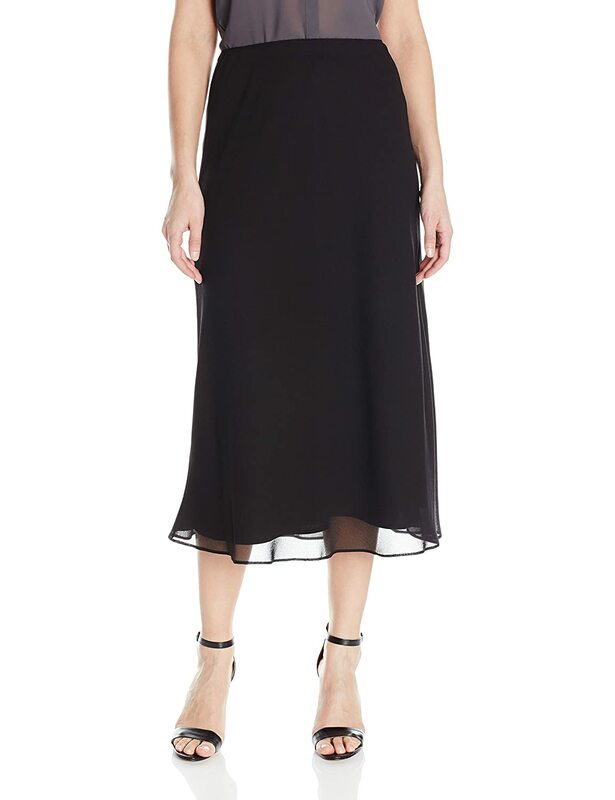 The trend was now to attach a skirt to a dress in a way that appeared to be two separates. In that respect, the skirt and blouse never went out of fashion. For the remainder of the decade, separate skirts were not sold often. Most skirt were attached to dresses. 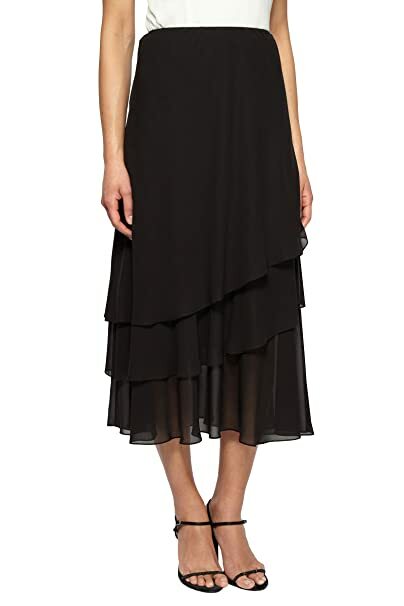 Now that you know where to buy a twenties inspired peasant style blouse you need a skirt to go with it. 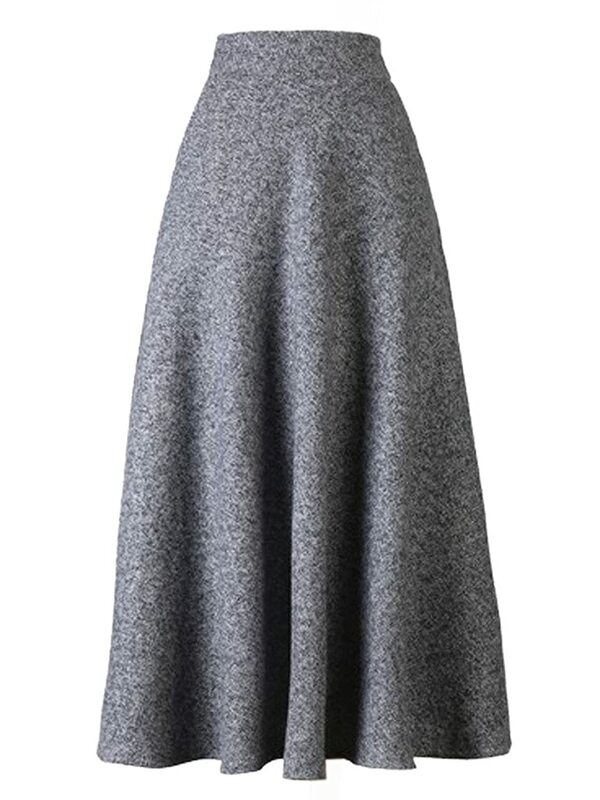 Early ’20s style midi skirts in wool or satin can still be found in thrift stores. 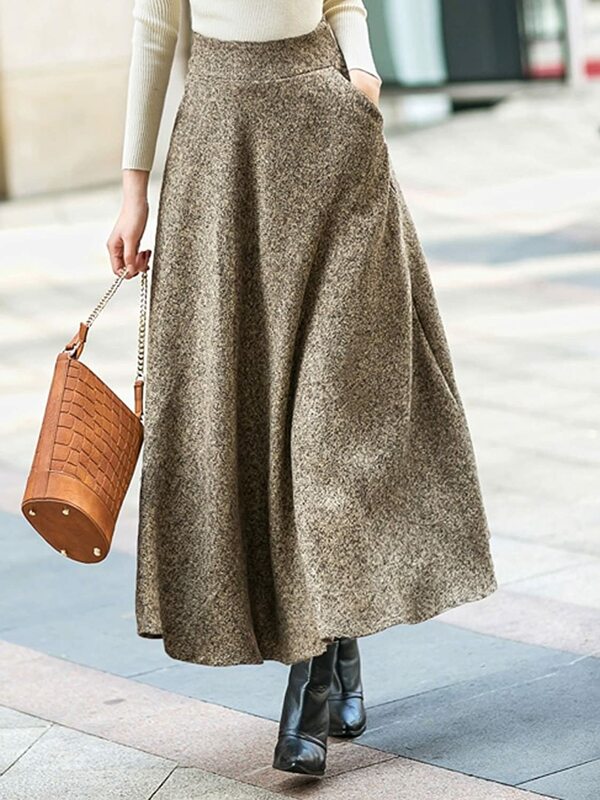 Plaid wool midi skirts had a revival in the 1990s, which is what I usually can find. Sometimes I add big buttons or faux pockets to give them a tad more ’20s personality. 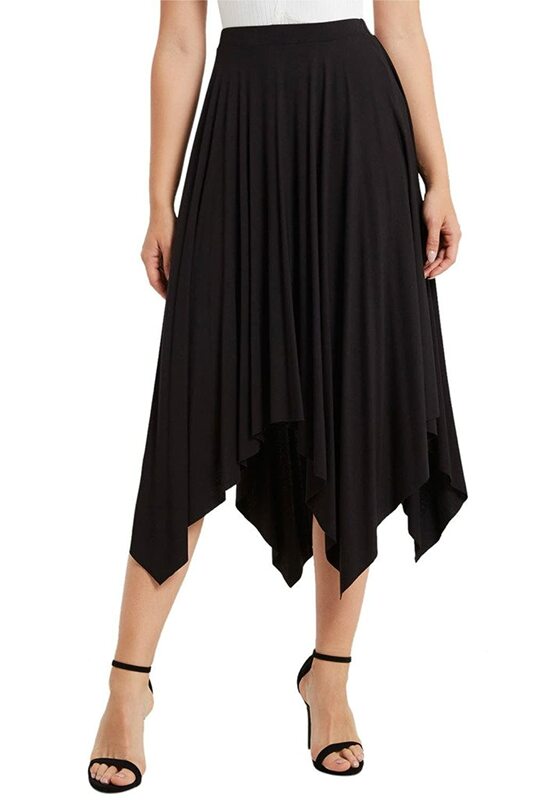 For fancy occasions, I might add some art deco inspired designs with ribbon but overall skirts were plain in the 1920s and don’t need much decoration. 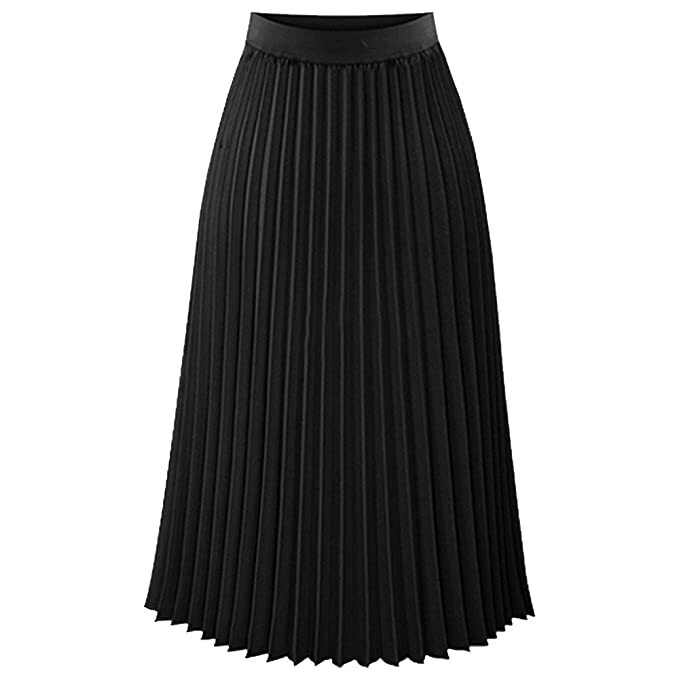 More easy to find right now is the pleated midi skirt. Made of chiffon or other sheer material, they swish and sway in very ’20s way. 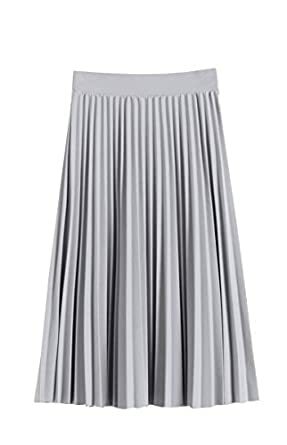 Pleated knit skirts are great also, but harder to find. 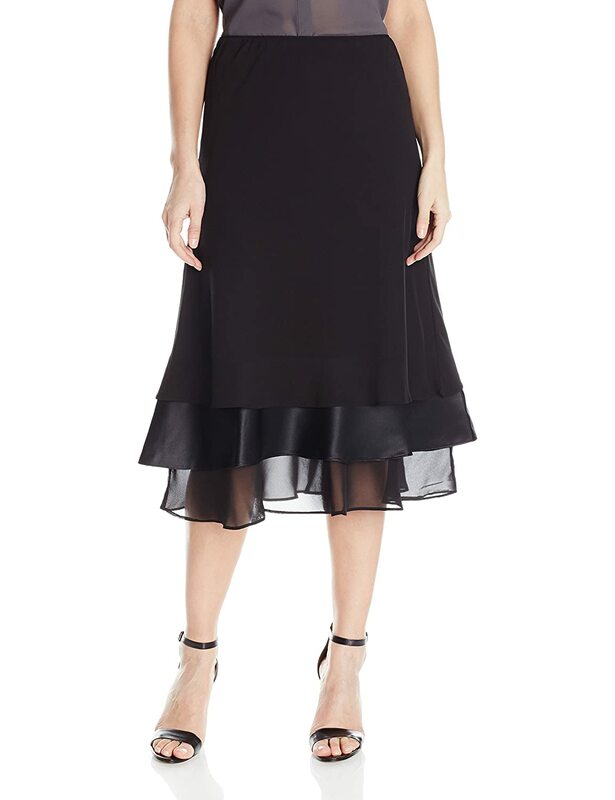 Skirts with tiers or layers can be also be authentic looking. For a more flapper style, choose a shorter skirt with fringe or feathers along the bottom. 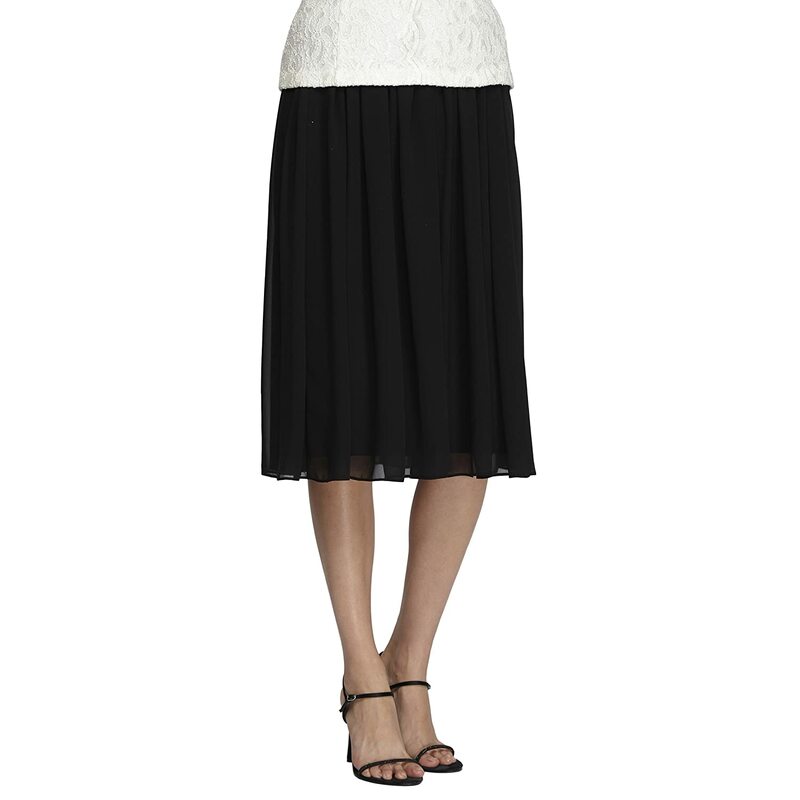 Reader Alissa put together this skirt and sweater set for a Gatsby party. Skirt is from Amazon. I’ve just discovered your website/blog and I think it’s fantastic! Very well done and informative. I’m a little bothered, however, that some of the sponsered adds partially cover up your pictures and texts; is there any way to fix this?